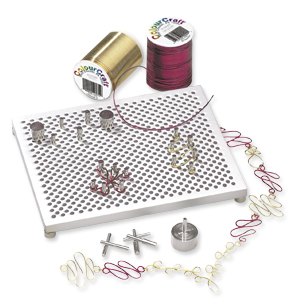 "The Thing-A-Ma-Jig allows crafters to form wire into stunning designs. The patterns and shapes that can be created are endless. An aluminum, 4-1/2 inches x 5-1/2 inches wire jig. Includes various metal pegs. Complete with basic wire tips. JIG100"